Education surrounding new and innovative skincare products, treatments, and rituals is vital to maintaining the health and happiness of our skin. As such, we have an endless list of questions. In a new series, Save Our Skin, we asked a team of trusted dermatologists about our most pressing skin issues (e.g. dark spots, acne scars, etc. ), and then vowed to live by their recommendations for a week—from products, techniques, and even cutting out certain foods. First up, our senior editor discusses the best skincare routine to use in between her Botox appointments. Dermatologist Karan Sra, MD, from Houston Skin Associates worked with her to prescribe products and even mixed up a custom serum. Below, see how it all went down. I wear my love for skincare on my sleeve, often opening up about how it , , and, naturally, the health of my skin. Less frequently (because of lingering taboo, I suppose) but still with the same unapologetic fervor, I share my affinity for Botox. It’s important that the age-old reputation, the one likening Botox to poison and offering up outdated, sexist prose about superficiality, gets an informed update. Botox is just another modern option we have to work with as our skin ages. As a consenting, adult human, what you do with it is up to you. I use my appointments to smooth out expression lines that have cropped up on my forehead—I’m very emotive—and to ease tension in my jaw. The thing about Botox, though, is it’s expensive, and running around town to make various appointments can be time-consuming. So I wanted to discuss ways to stave off appointments with a thoughtful use of skincare products, ones that are meant to maintain the results longer post-appointment. I met with Sra to go over her recommendations and take in all her sage advice. Below, find the products she suggested and why they’re particularly helpful, as well as whether or not, after two weeks, I saw a visible difference in my skin. 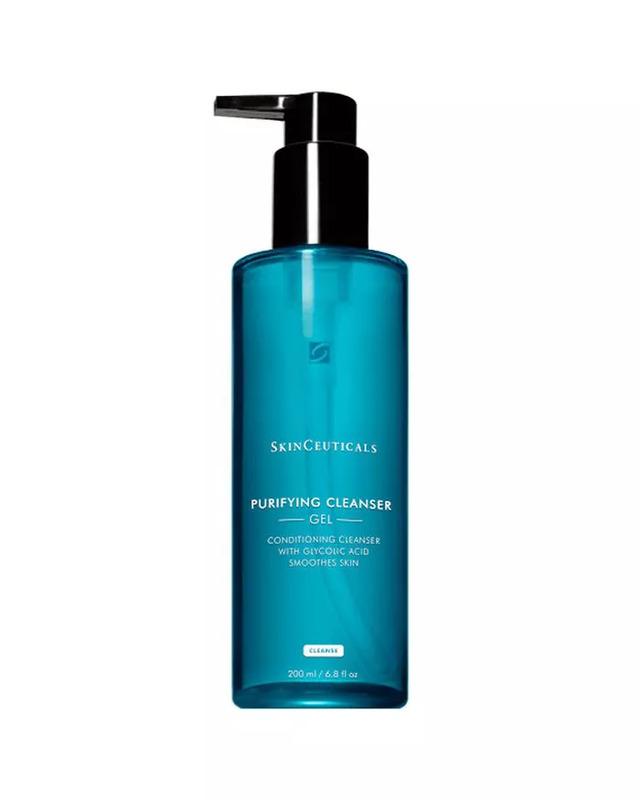 First, Sra suggested I start with SkinCeuticals' Purifying Cleanser ($34), as it contains glycolic acid (which helps with pigmentation and fine lines) and the texture is gel-like and cooling, courtesy of pH-balancing glycerin. The formula gently exfoliates and helps with your skin’s maintenance before and after your injections. It foams really nicely but maintains a soft, cushiony result. It smoothes my skin and leaves it feeling refreshed but never tight. The second product in the lineup is one I'm quite familiar with, and by proxy, you probably are too. C E Ferulic is my most beloved serum and one of the only products I've used daily for the better part of a decade. It's a daytime vitamin C serum that uses antioxidants to provide environmental protection (which is particularly helpful in New York), improves signs of aging and photodamage, firms your skin, and brightens better than anything else I've tried. 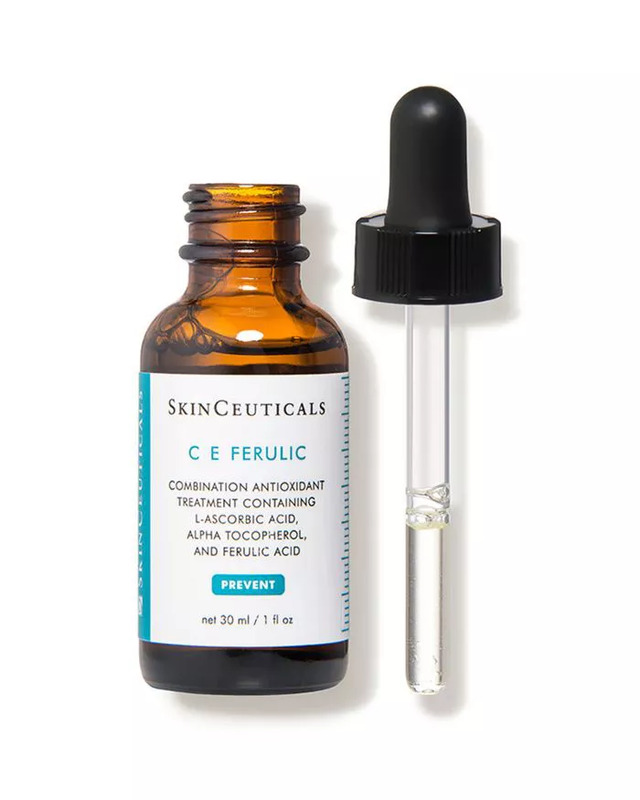 "C E Ferulic is my go-to antioxidant in the morning," Sra notes. "I love it because it acts as an additional layer of support behind your sunscreen. It helps prevent fine lines and pigmentation caused by sun exposure and environmental damage, so you need Botox less often." 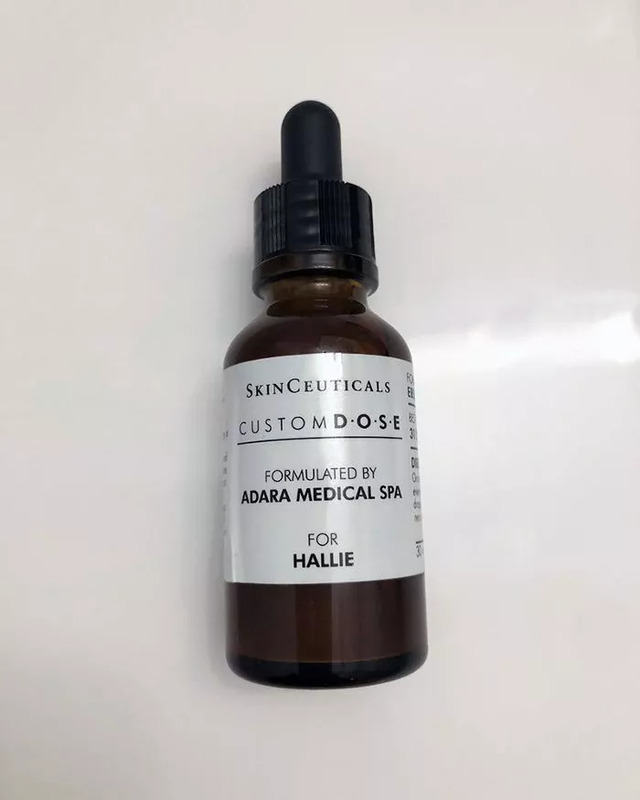 One of the more exciting formulas, Custom D.O.S.E is SkinCeuticals' newest serum offering that allows you to mix together the ingredients that you really need. You can choose between an emulsion base or something a bit lighter, various brightening ingredients, anti-aging blends, and the like. For me, Sra suggested a nighttime serum which blends together a milky emulsion base and more hydrating ingredients alongside 0.5% retinol, the highest concentration to best nix expression lines. "I like the emulsion base with the addition of antioxidants and retinol to help repair sun damage, which ages us quicker and faster," says Sra. "This topically helps minimize the appearance of fine lines, so with a good skincare regimen, there is better maintenance. The best part: It's completely customized and tailored just to you and your skincare needs." 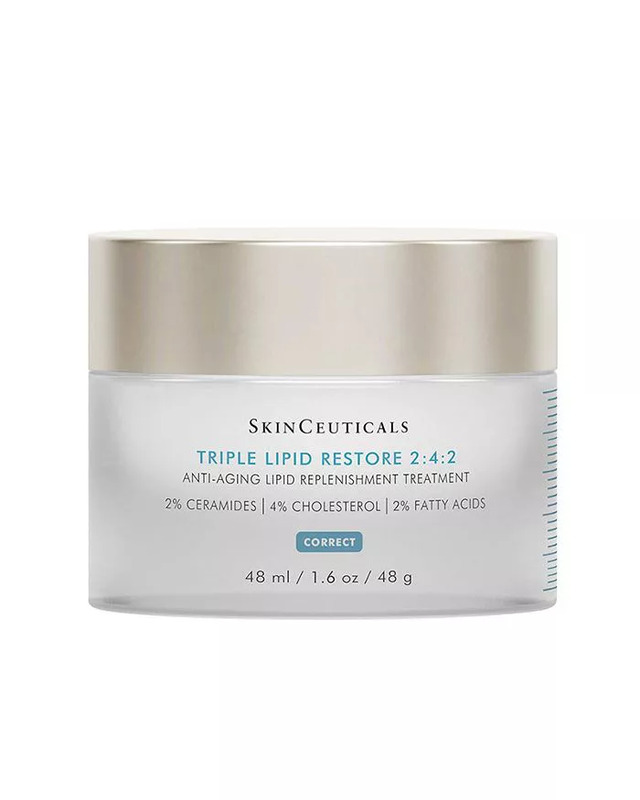 Sra named Triple Lipid Restore 2:4:2 as a staple in a post-Botox routine. "It is an amazing moisturizer that helps with the appearance of skin's texture and tone," she notes. It blends essential lipids, including natural cholesterol, pure ceramides, and fatty acids to restore your skin's elasticity and hydration cycles, as well as vitamin E and essential oils. It's fast-absorbing, full of antioxidants, and really visibly quenches my skin. It's thick, it feels velvety and moisturizing, and it plumps my skin on contact. After a full two weeks devoted to this routine, I was hooked. SkinCeuticals has long been a favorite of mine, so it didn't take much to convince me to experiment. I added in my favorite toner, Biologique Recherche ($67), which uses acids to exfoliate your skin while nourishing it with botanical extracts and vitamins. Estheticians call it a facial in a bottle, and they're not wrong. I also used Dr. Barbara Sturm's ($250) to offset any potential retinol irritation and SkinCeuticals ($82) for extra hydration. I can confidently say my skin has never looked better—and I postponed a Botox appointment to prove it.